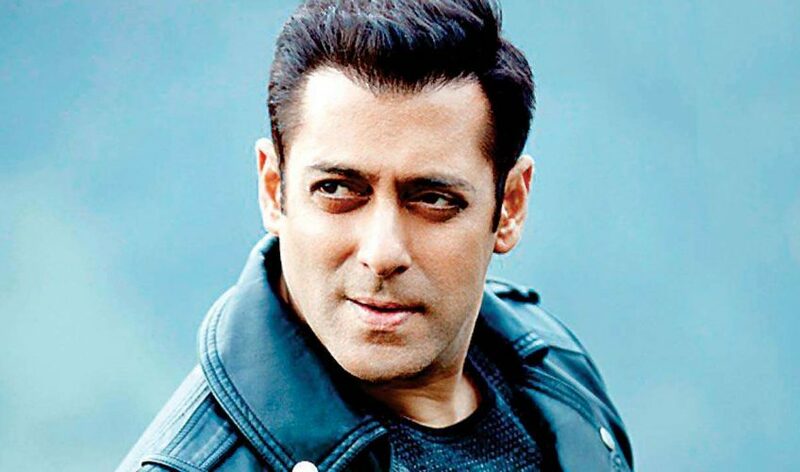 Get the complete list of Salman Khan Bollywood Actor upcoming movies 2019 to 2022 with the release date, trailers, director, producer, plot, budget. Salman Khan’s film means feast itself because his countless fans never mind critics response, they just enjoy his movies and give unconditional love. Strong content makes a film hit, super hit, and blockbuster but Salman Khan’s superstardom is enough to make an average story successful at Box Office. Can you imagine why people wait for Salman Khan upcoming movies..? Because Salman Khan has eleven 100 crore movies, three 200 crore movies, and three 300 crore movies. Salman Khan’s brother-in-law and producer Atul Agnihotri who had earlier made blockbuster film Bodyguard (2011) with him gearing up for their next film. Ali Abbas Zafar directs the film went on the floor from June 2018, releasing on Eid 2019. This is an official remake of the South Korean film An Ode to My Father (2017) where Salman Khan to play age from 18 to 70. In Bharat and his, Maine Pyar Kiya look to be created using VFX. The Megastar will don 5 different looks in the movie, will span across 7 decades starting from the 1940s. After Priyanka’s no Katrina Kaif confirmed to play lead female in Bharat. Popular comedian Sunil Grover to play Salman Khan’s friend in the movie. Disha Patani to play a trapeze artist in the film. After Disha Patani, beautiful Tabu and popular TV actor Aasif Sheikh, Jackie Shroff join Bharat. Dabangg 3 is the third installment of super hit action-drama having Salman Khan as rough and tough cop Chulbul Pandey who works like Robinhood style. News: Dabangg 3 started on 1st April 2019 and may release in Dec. Kick 2 is the second installment of the popular action-comedy franchise having Salman Khan in the main lead as Devil. At the Baaghi 2 trailer launch on 21st Feb 2018, Sajid Nadiadwala confirmed that Kick 2 will go on floor Jan-Feb 2019. Sources suggest that Disha Patani might cast opposite Salman Khan. Superstar Salman Khan and ace filmmaker Sanjay Leela Bhansali reunite after 20 year. Alia comes to this big project. In Salman Khan upcoming movies, he has finalized Wanted (2009) sequel but the film stuck due to copyright issue. Prabhu Deva will direct Salman for the second time after their super hit Wanted. Salman Khan and Jacqueline Fernandez to reunite for Remo D’Souza’s Dance film. Salman Khan is a widower and one child’s father in the film. In Salman Khan upcoming movies & According to the several sources, Salman wants to do Pulimurugan Hindi Remake. Malayalam superstar film is the highest grossing and most successful film of Malayalam Cinema. Kabir Khan and Salman Khan may collaborate for another film and rumors suggest Deepika Padukone will first time appear with Box Office King Salman Khan. This is the sequel to hit comedy film No Entry (2005) by Boney Kapoor. However, the official announcement of the film has yet to be made but Salman confirmed for the sequel. This is the sequel of hit comedy film Partner (2007) directed by David Dhawan. Govinda and Katrina Kaif played the important roles in the prequel, while lead female still not confirmed. Sohail Khan has described that he is going to direct an action movie for his brother superstar Salman Khan. These are the list of Salman Khan upcoming movies 2019 to 2022.